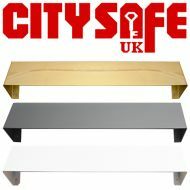 CitySafe UK has a range of Letterplate Shrouds which will help you improve your customer’s door security. Key fishing or letterplate fishing is a technique that burglars use to get hold of keys, purses, handbags and more without even having to enter a property. 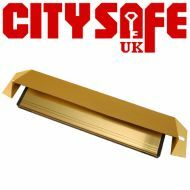 Our range of Letterplate Shrouds will stop hands getting through your customer’s letterbox and either hooking their keys or opening their lock. Available in Screw Fix or Hidden Fix variants and in a variety of colours to match existing door hardware you’ll be able to find the perfect product to meet your customer’s needs.